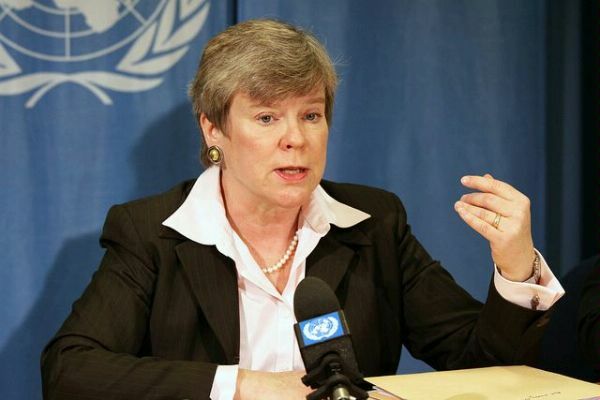 In a little noted section of a speech before the Conference on Disarmament, U.S. Assistant Secretary of State Rose Gottemoeller reiterated a commitment made last year by Secretary Clinton to submit for “Senate advice and consent the ratification of protocols to the nuclear weapons-free zones established for Africa and South Pacific.” It is indeed past time that the State Department submits these protocols and the U.S. Senate approves U.S. participation in these two important pillars of the nuclear nonproliferation regime. Swift ratification of these protocols without reservations or conditions would underscore President Obama’s pledge to fulfill U.S. responsibilities as a nuclear power committed to the NPT. Nuclear Weapons Free Zones form an essential part of the non-proliferation regime and such ratification, while adding no additional burdens on the United States, would bring its legal position to par with international commitments already undertaken in its declaratory policy. It is almost 15 years now since the United States signed the protocols to the African Nuclear Weapons Free Zone (the Pelindaba Treaty) and the South Pacific Nuclear Weapons Free Zone Treaty (the Rarotonga Treaty). In these protocols, the United States has pledged not to use or threaten to use nuclear weapons against any party, territory of any party, to the treaties of Rarotonga and Pelindaba. These protocols also commit the United States not to test or assist in testing nuclear explosive devices within the zones established by the Treaty. Historically, the United States has extended negative security assurances, (pledges not to use or threaten to use nuclear weapons), to non-nuclear weapon members of the NPT in good standing and Nuclear Weapons Free Zones member states. First made in 1978, such pledges were reaffirmed in 1995 by President Clinton and incorporated in the UN Security Council Resolution 984. Until 2010, however, U.S. declaratory policy had carved out exceptions for using nuclear weapons in response to an attack with chemical or biological weapons by non nuclear weapon states. Many experts in the field had pointed out a potential incongruence between negative security assurances and U.S. declaratory policy pledges which undercut from the full impact of these commitments. Ratifying the protocols to the Pelindaba and Rarotonga Treaties in a manner consistent with the new U.S. declaratory policy would only follow through on a U.S. commitment taken long ago and come at no cost to American security. But ratification would also visibly diminish the role of nuclear weapons in accordance with the objectives of the 2010 Nuclear Posture Review. Moreover, by backing a U.S. policy declaration with legally binding assurances, the United States will enhance its standing in the international community. Additionally, Protocol I to the Rarotonga Treaty, once ratified, would extend the application of the free zone to the American Samoa and the Jarvin island. This entry was posted in Africa, Nuclear Security, Nuclear Weapons, South Pacific and tagged African Nuclear Weapons Free Zone, NPT, Nuclear Weapons Free Zones, Pelindaba Treaty, Rarotonga Treaty, South Pacific Nuclear Weapons Free Zone Treaty, U.S. Nuclear Posture Review. Bookmark the permalink.